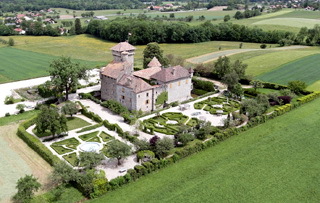 Feudal chateau entirely refurbished and restored, nestled in a 15 acres domain in the slope of a mountain (basin of lake Leman). Historical place where very important persons from Duchy of Savoy have passed, as François de Sales, Marquise di Verna-de Luynes to whome french novelist Alexandre Dumas devoted an entire volume. The Chateau d'Avully welcomes you for great receptions, weddings, seminars, etc. Gardens in a framework of woods and mountains and antic little villages.